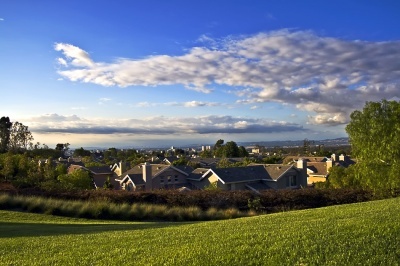 Irvine is a great example of a major planned city in Southern California. Considered the heart of Orange County due to the many businesses and jobs, top rated schools and world-class Universities, great location with close proximity to John Wayne Airport, shopping center, medical centers and more, Irvine homes and condos go from small, loft condos and apartments, to luxury estates like Shady Canyon. Low crime rates and more made it top 4th place to live in USA according to CNNMoney in 2008. Irvine Homes and Condos have different options and architectural styles. There's older communities with homes built in the 60's, but the city is also full of homes and condos newly built, and even still being built. For example, there's University Park, which started as a neighborhood catered for UCI students, is now considered an excellent neighborhood for families. Turtle Rock and Quail Hill offer the mix of home with nature and newer amenities and upgrades in the homes. And on the top of the price range for homes in Irvine, there's Shady Canyon, a luxury guard gated golf course neighborhood, with easy access to the freeway and known for it's nature conservancy and multi million dollar estates. If you have any questions on any of these Irvine homes and condos, please contact us or call us at (949) 888-6788. OCExecutives specializes in real estate transactions of Foreclosures in Irvine, California. Contact us today to sell real estate or buy real estate listed as foreclosures in the communities of Irvine or for more information about any of these Irvine foreclosures. If you would like to see a list of foreclosure homes in other communities in Orange County, follow the links above, or click here for other options within the Irvine Real Estate.